For the quick and easy removal of cured polyurethane foam residues from non porous surfaces such as plastics, metals and PVCu. Gel based, odourless and free of aromatic solvents. Supplied with either brush and spatula. 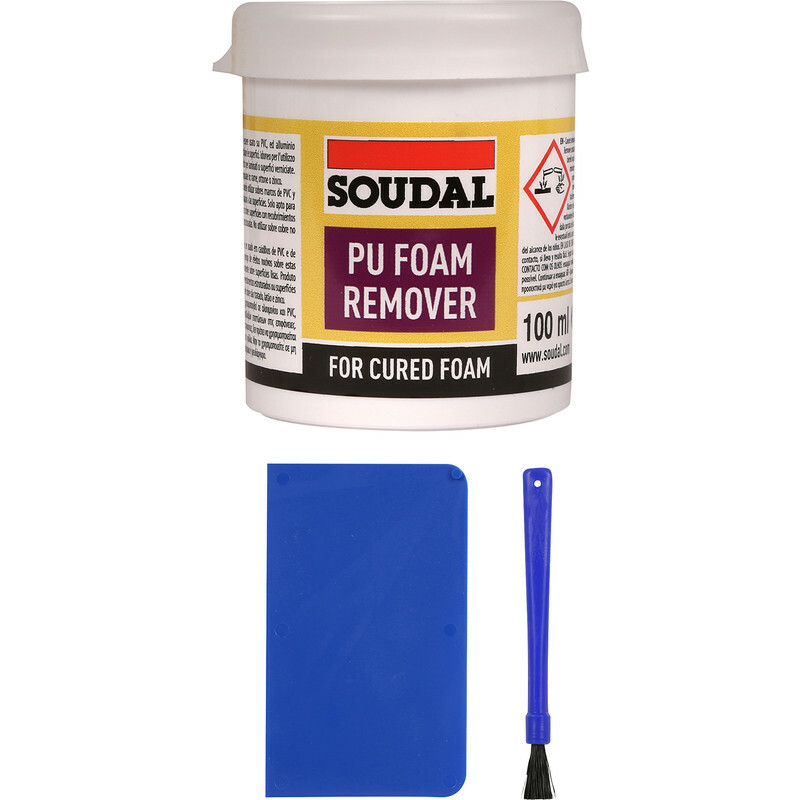 Soudal PU Foam Remover 100ml is rated 5.0 out of 5 by 1.